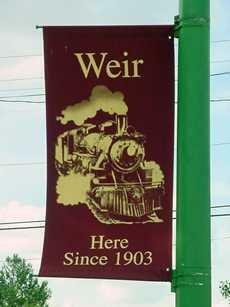 Founded as a station on the railroad in 1903, the town was named after Calvin Weir, an early settler. Weir drew it's first population from citizens of nearby Townsville. 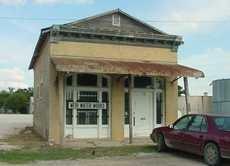 Townsville, aka Towns Mill had been bypassed by the railroad. Weir inherited the Townsville post office - after a change of name. 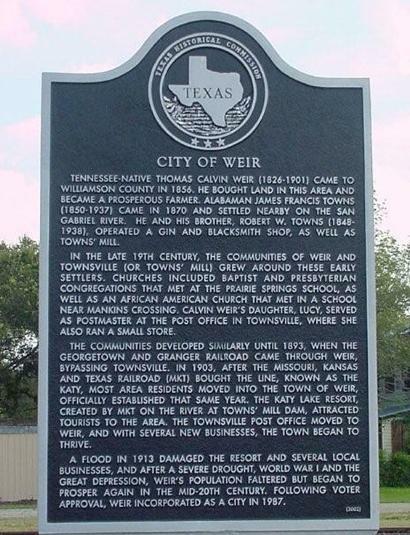 By 1914 Weir had a population of 200 a bank and two stores. The population peaked with 300 people - just as the Great Depression hit. By 1968 it was down to 100 - where it has more or less remained.